This week in gaming: Fortnite skips the Google Play store, Vainglory goes multi-platform, EA revamps FIFA Ultimate Team, and more! Kristian made his solo debut by explaining how Guitar Hero Live took too many risks in changing the series’ business model, thereby crashing and burning as a sad result. 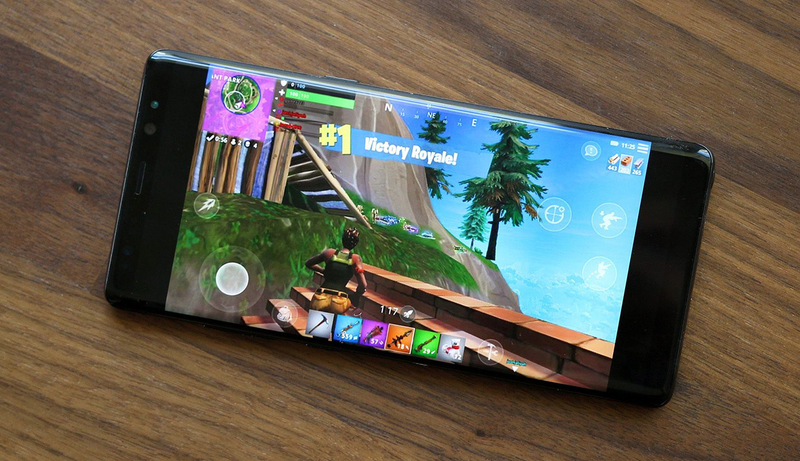 Epic Games CEO Tim Sweeney has confirmed to Eurogamer that his studio’s hit title, Fortnite: Battle Royale, is going to bypass the Google Play Store when it comes to Android later in the year. Doing this will mean that Epic will not have to pay Google a 30% share of purchases made within the game since it will not be distributed through Google’s official store. Sweeney noted that his company would have done the same on iOS if Apple did not create such a closed software ecosystem on its mobile platforms. Announced in Super Evil Mega Corp’s latest Developer Update and still “a very early alpha”, the Mac and Windows client makes Vainglory the first MOBA to cross the bridge between mobile and PC gaming. The PC client is a faithful port of the current mobile offering, allowing players to play with all of their friends – both on mobile devices and PCs of their own – across all of the game’s modes and providing access to the full out-of-game experience. The client was also announced alongside a free skin to celebrate the game’s appearance in an advertising campaign for the iPhone X’s A11 Bionic chip, the next two heroes set to be released in Updates 3.6 and 3.7, and a number of long-awaited quality of life improvements. Those interested in testing Vainglory on their PC or Mac can learn more here. The highlight of this revamp is the Division Rivals game mode that replaces Online Seasons and works somewhat like the ranked modes seen in games like Overwatch and Rocket League; after a series of qualification matches, players will be placed into a division that they’ll play in for the week, with rewards to come at the end of each week. Division Rivals also replaces the Daily Knockout Tournament as the new way to qualify for the competitive Weekend League, with Champions Points acquired through gameplay the means of qualification. Notably, Champions Points can be stacked, meaning that players who qualify can choose which Weekend League they enter, rather than being entered into the next one. The long-awaited disclosure of pack odds. On top of all of this, EA Sports has also announced the first batch of Icons to come to FIFA 19: Roberto Baggio, Fabio Cannavaro, Johan Cruijff, Eusébio, Steven Gerrard, Miroslav Klose, Frank Lampard, Claude Makélélé, Raúl, Rivaldo and Clarence Seedorf. Activision Publishing has not dismissed speculation that Spyro Reignited Trilogy will ship with just the first game on the disc, with players having to download the other two games in the compilation. This statement was released not long after Twitter user Nibellion posted the following Xbox Store image (via ComicBook.com) showing that players will need to download the second and third games in the compilation. The company announced in its latest earnings report (via GameSpot) that it shipped approximately 3.2 million PS4 systems in the quarter ending July 31 and bringing the total units sold to more than 82 million worldwide. While the 3.2 million figure is down from the 3.3 million one from last year, Sony expects to ship 17 million systems by March 31 next year – which is up from its previous prediction of 16 million units. According to research conducted by engine creator Unity Technologies, approximately 67% of the 1445 independent game studios polled stated that they would like to self-publish their games in the future. Similarly, approximately 72% were developing primarily for release on PC with mobile devices following closely behind at 57%, consoles at 29%, 24% for virtual reality devices, and 16% for augmented reality devices. Just over half (53%) of the polled studios were looking to release their games as one-off purchases (“premium” titles) and 36% plan on releasing them as free-to-play (“freemium”) ones. YouTube channel Valve News Network has reported that Valve is planning on reinstating temporary Steam “Flash Sales” based on new text found by a Steam Translation Server volunteer (via PC Gamer). Furthermore, developers and publishers may finally get to control whether their games are discounted for 6, 8, 10, or 12 hours. Valve itself has yet to confirm the validity of this rumour as of this writing. Mosaad “Msdossary” Aldossary of Saudi Arabia has been crowned the FIFA 18 World Champion, following his 4–0 triumph in the final, over Belgium’s Stefano ‘StefanoPinna’ Pinna. Msdossary takes home US$250,000 in prize money and the FIFA eWorld Cup trophy, backing up his win in the FUT Champions Cup back in April. Natively an Xbox player, he won the first leg on PS4 with a scoreline of 2–0, before cementing the result with a 2–0 scoreline on Xbox. He also coasted through the semi finals with an 8–3 aggregate win over Michael “Megabit” Bittner. StefanoPinna’s semi-final was a lot closer after he came from behind 2–1 in the first leg to clinch victory in extra time of the second leg with an aggregate score of 4–3. Codemasters is working on its most ambitious career mode yet. Expect a full reveal in just over two weeks. I want to be a Shinigami so bad! 1980s teen horror is alive and well in this piece of DLC. Goin’ Yumbo’s chaotic cross between Quidditch, football and basketball launched on Tuesday at the low price of US$4.99. It’s only available on Windows and can be bought at a 10% discount as of this writing. MidBoss’ cyberpunk narrative adventure, which features a voice cast of Telltale Games veterans and WWE Superstar Xavier Woods, is set to hit Nintendo’s flagship console on August 14 and carry a price tag of US$20.64. Considered the definitive version of the game, Read Only Memories INTEGRAL will include a jukebox feature, never-before-seen video clips, and the “Punks” side story fully remastered exclusively for the Switch. The game is available to preorder now, with a 10% discount applied right up until launch. Devolver Digital and OlliOlli developer Roll7 released the Super Snazzy Edition this past Thursday, featuring the “Me, Myself & BunnyLord” campaign that finally allows players to play as the BunnyLord himself in three all-new missions with new settings, enemies and challenges. This article was originally published on Doublejump. You can support the site further by following us on social media, becoming a Patron, and purchasing some merchandise. Doublejump has been an independent voice in Australian games journalism since 2012. Its writers are passionate, talented, and all-round good people and its owners are proud of Doublejump's core values of acceptance, tolerance, and respect. Thank you for two years of support! Nice quick look through the week.